Official preview images for the Arrow episode "Disbanded"
The CW has now released official preview images to promote the March 29 episode of Arrow. Titled “Disbanded,” we can find Anatoly, Felicity and Helix, Oliver and Susan, and a whole lot more in the gallery. You can find the pics underneath the episode description. 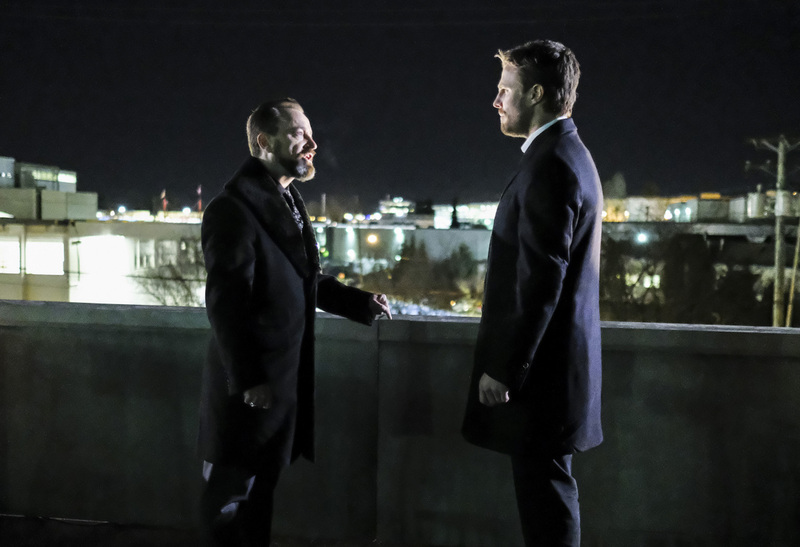 Arrow -- "Disbanded" -- Image AR518a_0003b.jpg -- Pictured (L-R): David Nyki as Anatoly Knyazev and Stephen Amell as Oliver Queen -- Photo: Bettina Strauss/The CW -- ÃÂ© 2017 The CW Network, LLC. All Rights Reserved.